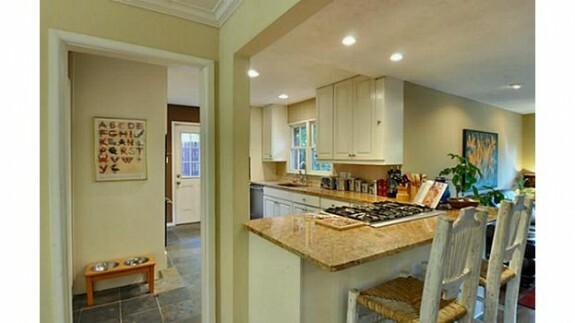 Sometimes, house flips get a bad rap. But many flippers make smart choices that turn outdated properties into warm, welcoming homes with lot of amenities. The property is located in Highland North, and is included in the Sparkman Club HOA annexed area, which offers swimming pools, tennis courts, basketball area, and a well-maintained playground for families. 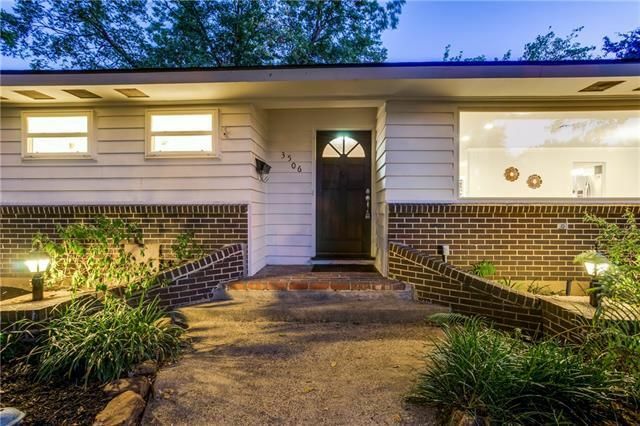 This is a 3-2 built in 1957 with 1,796 square feet, a one-story sitting on a corner lot with mature pecan and oak trees. It was listed a week ago for $369,000 by Donna Gordon at Dorsey Realty Group. 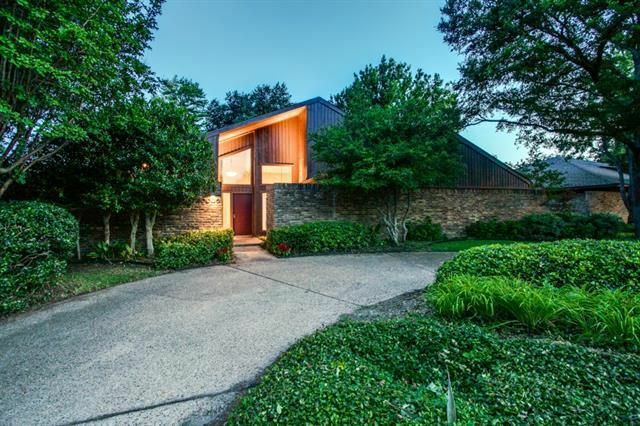 Today’s Tuesday Two Hundred will leave you amazed that so many high-end amenities and thoughtful details are available in a Lake Highlands home for under $300K. 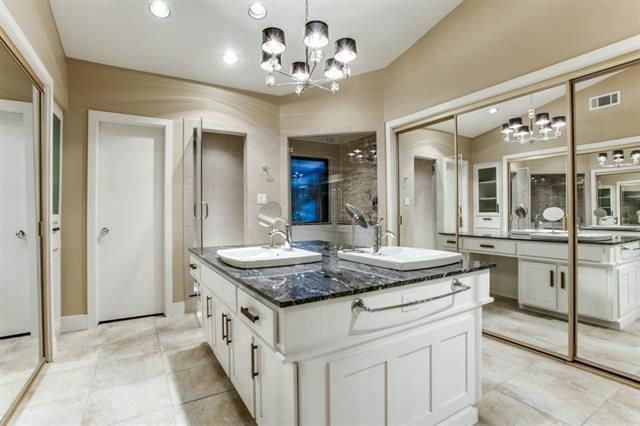 The master bathroom is a real stunner, with an unusual center vanity with two sinks, granite counters, and lots of storage. 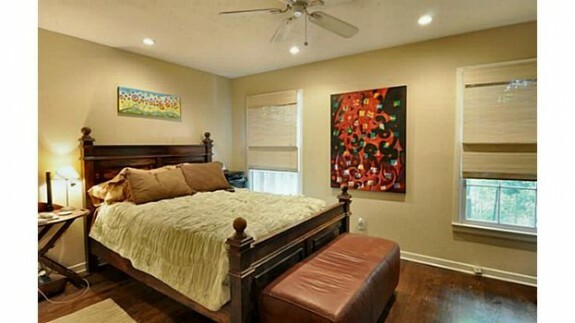 There is also ample closet space, decorative and recessed lighting, a private water closet, and spa-like steam shower. 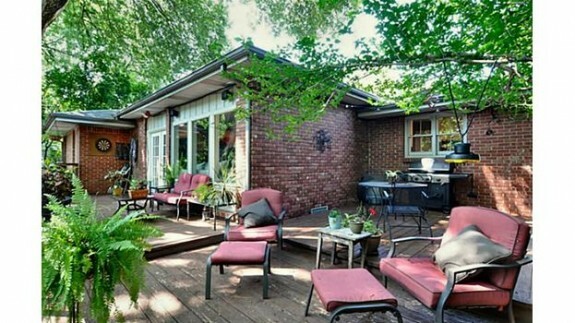 It’s a 3-3 with 2,619 square feet, built in 1979. 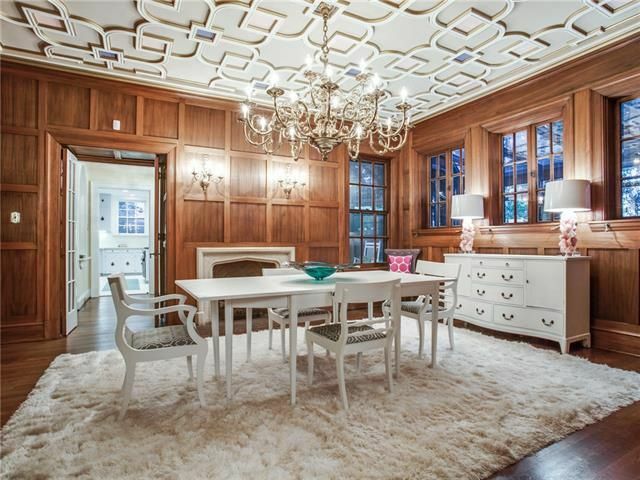 Inside, you’ll find everything from handscraped hardwood floors and a kitchen with custom cabinetry, to cedar-paneled vaulted ceilings and a stunning master bathroom. 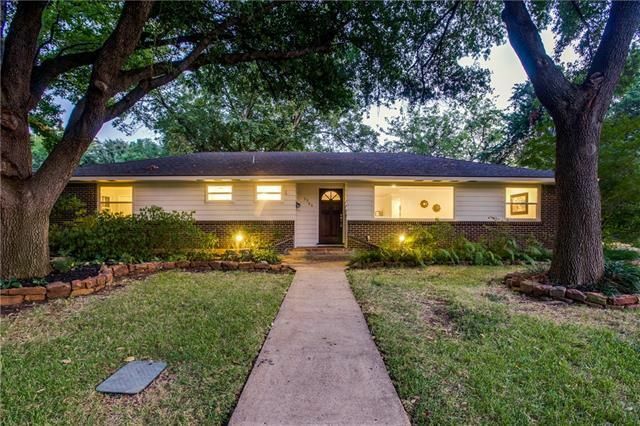 This stunner is newly listed by Angela Garcia with Keller Williams Realty Arlington for $295,000. 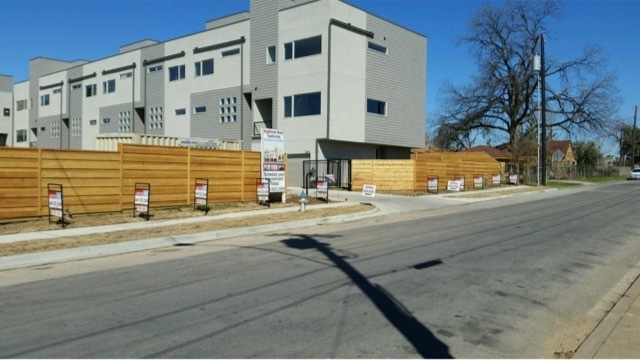 If real estate is all about location, location, location, then the new Oak Lawn townhomes being built at 4607 Steel St. are a shining example of what’s on the market in a prime neighborhood for under $400K. 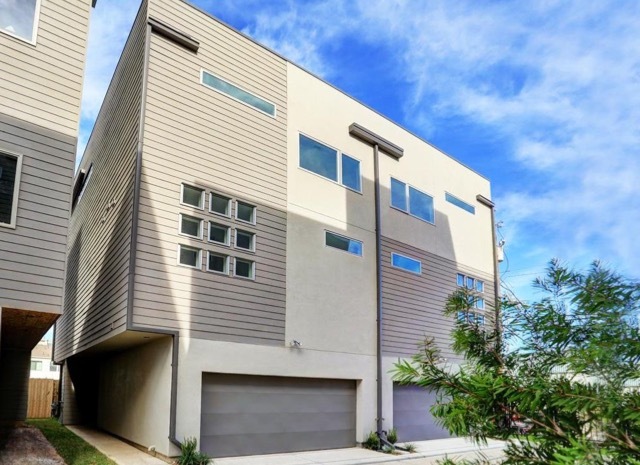 With contemporary stylings, open-concept floorplans with high ceilings, and views of downtown Dallas from the fourth-floor rooftop decks, it’s no wonder the first ten of the Hawthorne Street Townhouses sold before construction was complete. To meet demand, developer Urban Innovations is building seven more, and two of those have pre-sold, says construction manager David Espedal. This gated community will have 17 townhomes at build-out, each of them three bedroom/3.5 bathrooms on three stories with 2,119 square feet. A fourth-floor deck, second-story balcony, and first-floor private yard provide additional space for outdoor living. 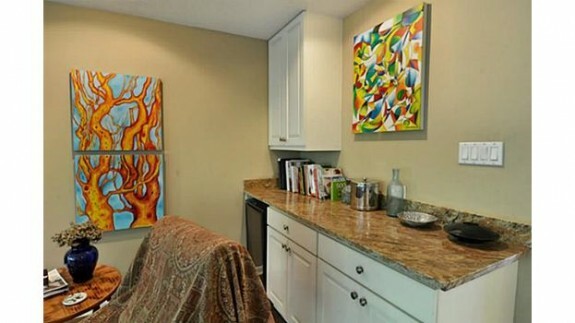 Today’s Thursday Three Hundred townhomes are listed by Stephen Hemphill with Urban Lofts Townhomes for $399,900. Can a home be romantic? Sure, especially when it offers wonderful views, a secluded feel, and rooms that would look fantastic lit only with candles. 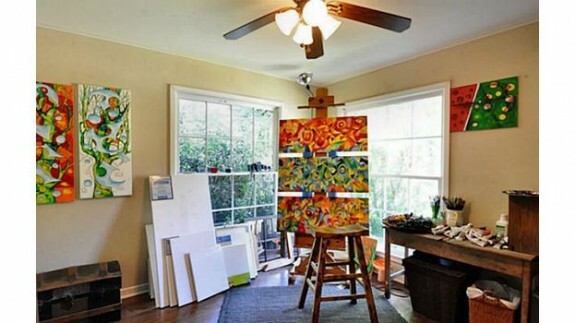 That’s how I imagine 3820 Frontier Lane, a cozy Bob-O-Link Downs one story that is clearly the home of an artist. Why is it romantic? Well, the living area has access to a bar with a wine refrigerator, for starters. And every bit of this home feels warm and inviting, thanks to the refinished oak floors and golden granite countertops, and art-bedecked walls. A low-profile fireplace with a large hearth adds to the romance of the home — a perfect spot to throw down a few pillows and pop open a bottle of bubbly with your lover. There are tons of windows looking out to the lot, which feels exceedingly private thanks to the forested area surrounding the creek. You can hear the water pass from the elevated rear deck, a wonderful spot for a relaxing outdoor massage. 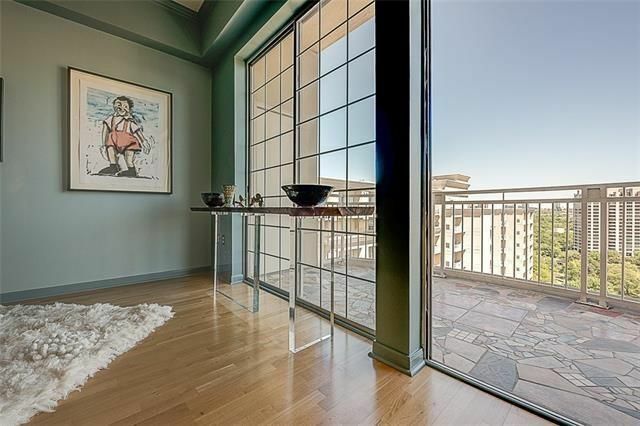 In fact, it’s so private that you could do without window dressings for much of the back of the house and let the views come in to inspire you and your love. There’s a fantastic deck in the front yard, too, which would be wonderful for hosting a larger group, but it’s much less private. Still, it’s a wonderful added outdoor space, and definitely an added value. Speaking of value, I’m amazed at what you get for your money in this home, which is priced at a recently reduced $365,000. 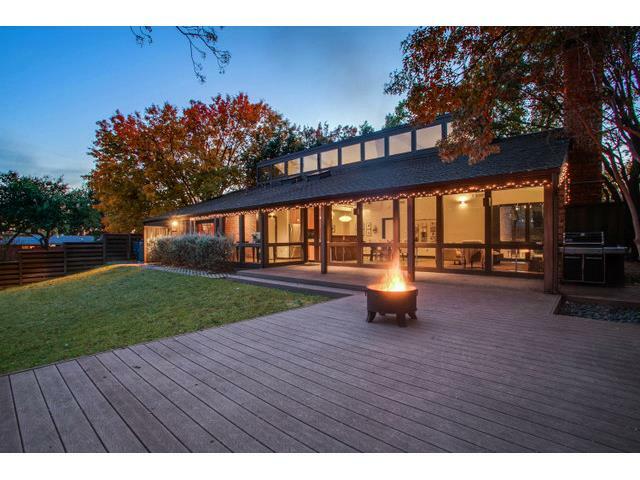 With three bedrooms, two and a half baths, and just over 1,800 square feet, this home is perfect for both romantic dinners for two or entertaining a much bigger crowd. 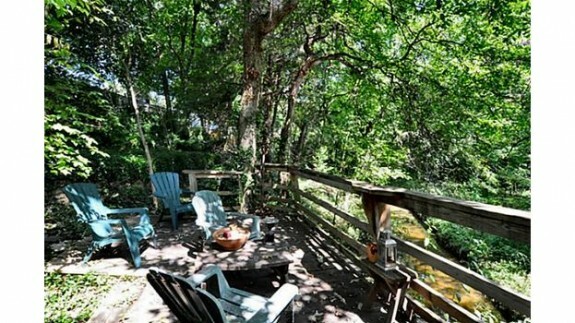 Of course, nature lovers will adore the back of the house and it’s proximity to White Rock Lake — just two blocks away. What do you think? 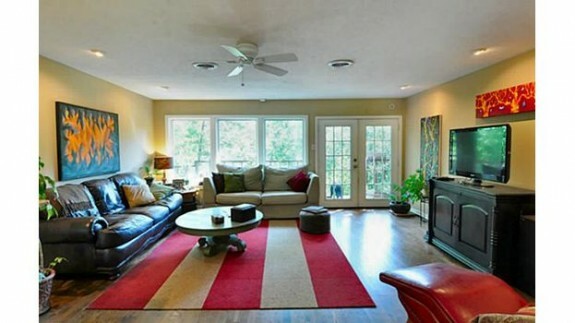 Does this home sweep you off your feet?